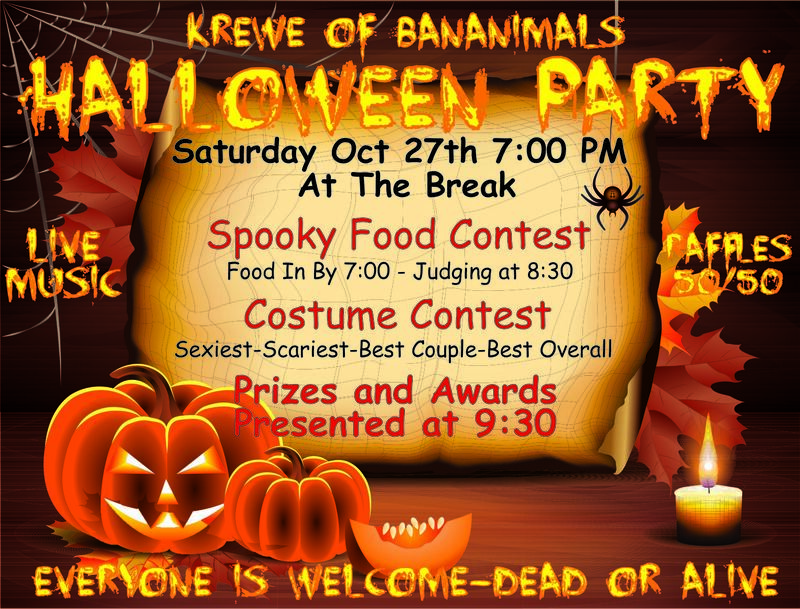 It's almost that time again to get spooky with the Krewe of Bananimals!! Don't miss our best Krewe party of the year on Saturday, Oct 27th. The party starts at 7 PM at the Beach Break Bar on Pensacola Beach. There will be costume contests, live music, a scary food contest, raffles and the usual Bananimals shenanigans! Costumes are optional, but so much more fun. If you are still not convinced you should attend, go check out our photo album from last year's party on our website (or on our FB page) and see how much fun was had.